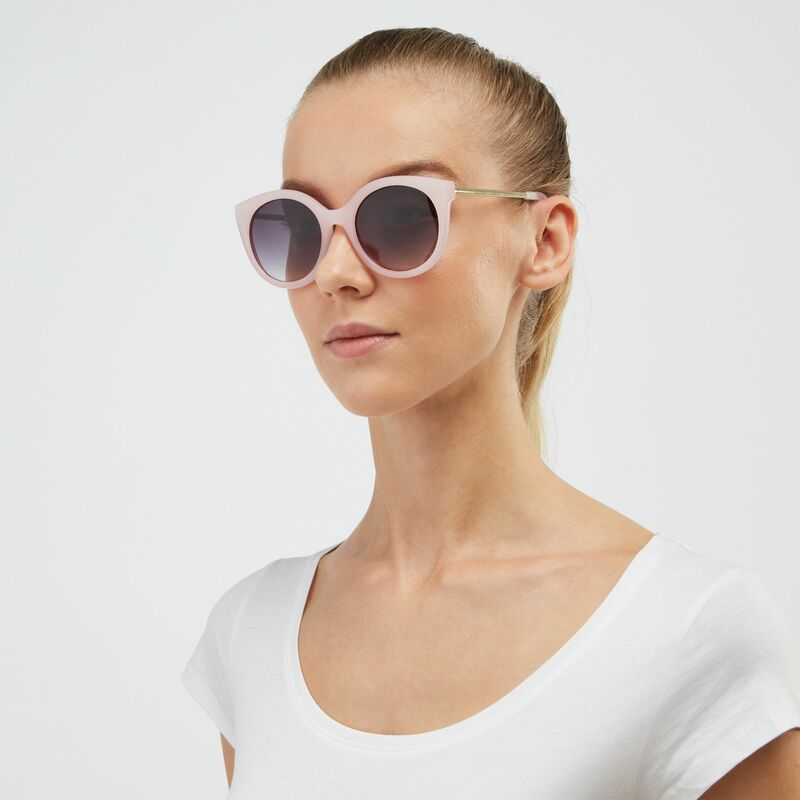 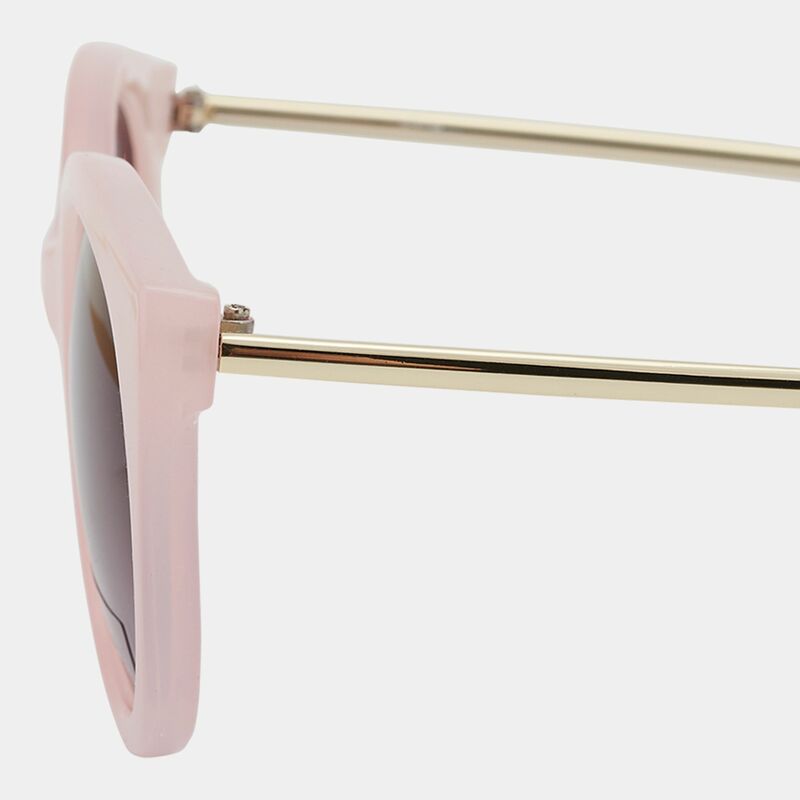 Go for cool chic in the Jeepers Peepers Cat Eye Sunglasses for women. 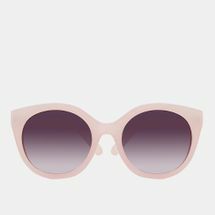 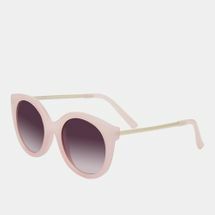 These have large pink cat-eye shaped frame and gold arms. 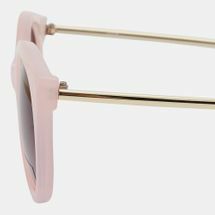 Lens are pink gradient with 100% UV protection.